Bubinga, east Indian rosewood. 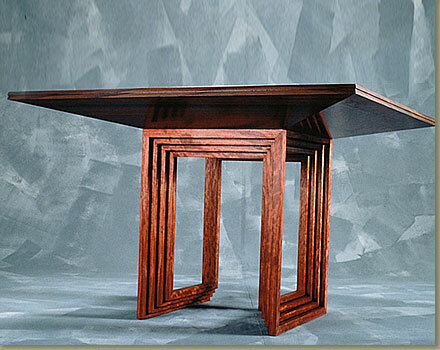 Tables interlock to form large surface. 46" square.